More about iittala Toikka Long-eared Owl Just as in nature, Oiva Toikka's Long-eared Owl has long ear tufts that stick straight out, giving it a look of surprise and curiosity. 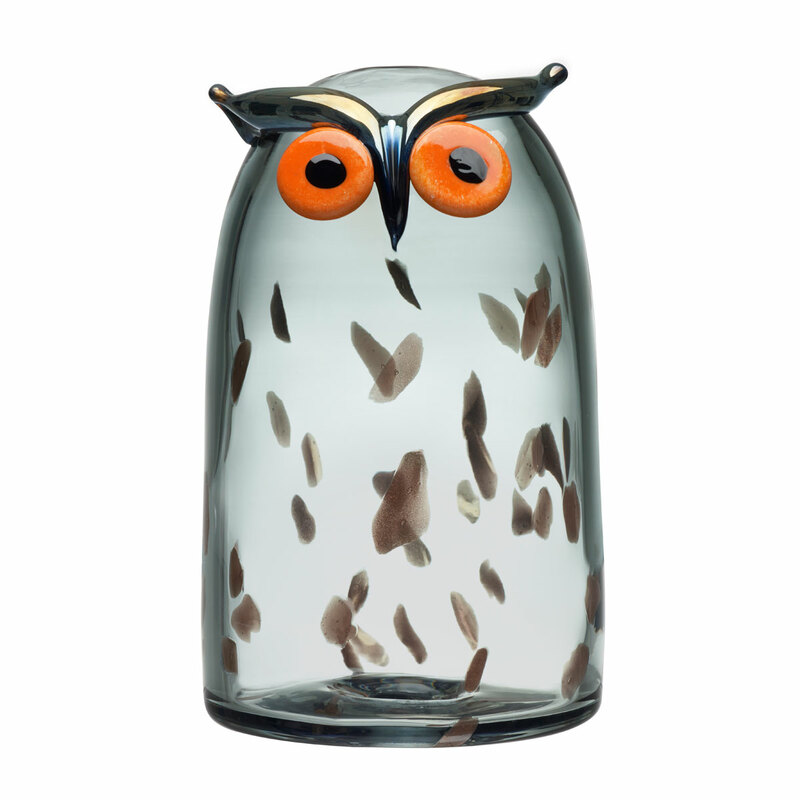 Mouth-blown in Finland by iittala's talented team, the iittala Toikka Long-eared Owl is a one-of-a-kind art piece for collectors of Finnish glass. The clear, dome-shaped body has metallic specks that vary in size and placement as a unique mark left by the craftsmen who hand-make it. The alert eyes and protruding brow are additional details that indicate the high level of skill and design behind the piece.The birds of Oiva Toikka's collection are individually mouth-blown by the master glassblowers at iittala�s glassworks in Finland. 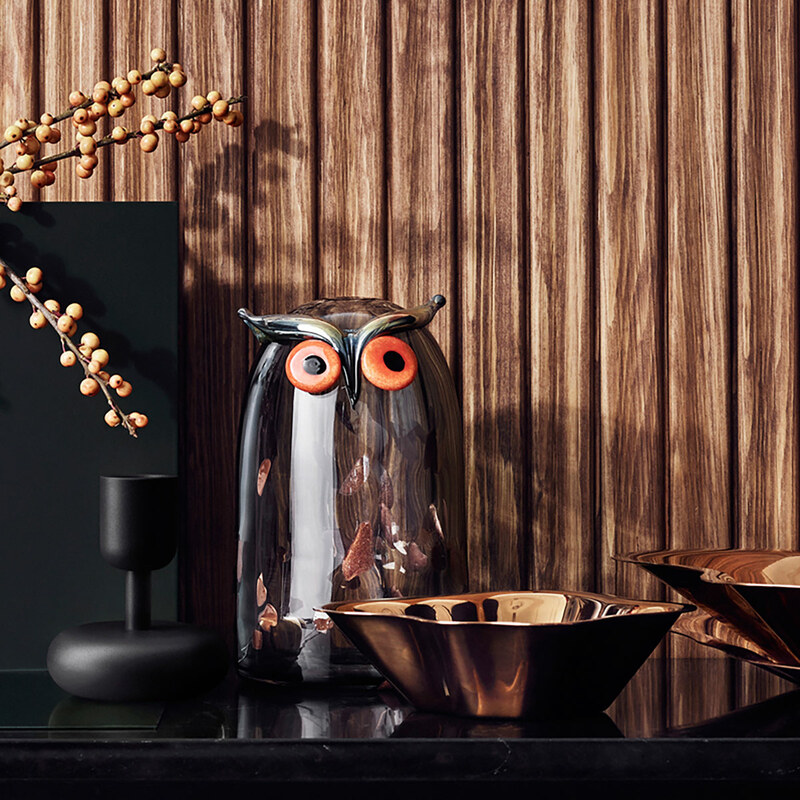 Each handcrafted iittala Toikka Long-eared Owl carries the signature �O. Toikka IITTALA� on its base to ensure authenticity and remind you of its special origin.